Get ready to experience some rib-tickling comedy with Gaurav Kapoor and many other comedians in Comedy under the stars. 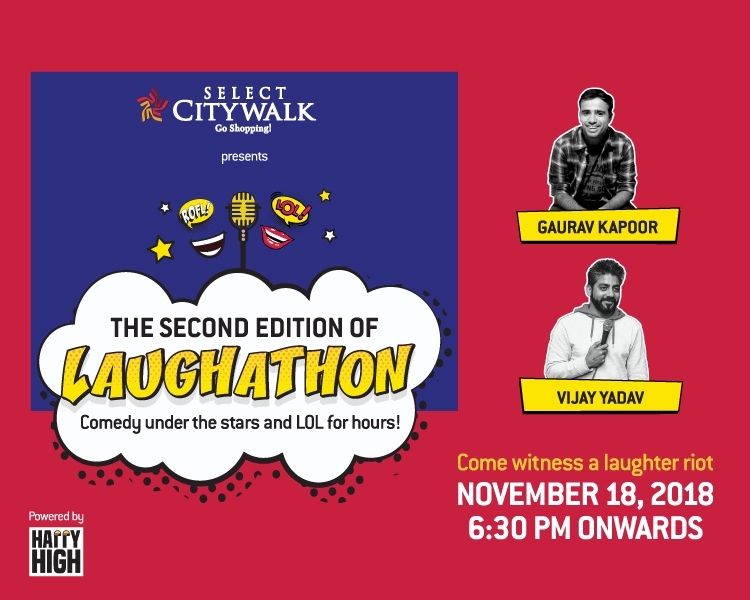 Select CITYWALK brings you the best of comedy in the second edition of LAUGHATHON on 18th November 2018 from 6.30 PM onwards. So bring along your friends and family and join us in this comedy extravaganza!